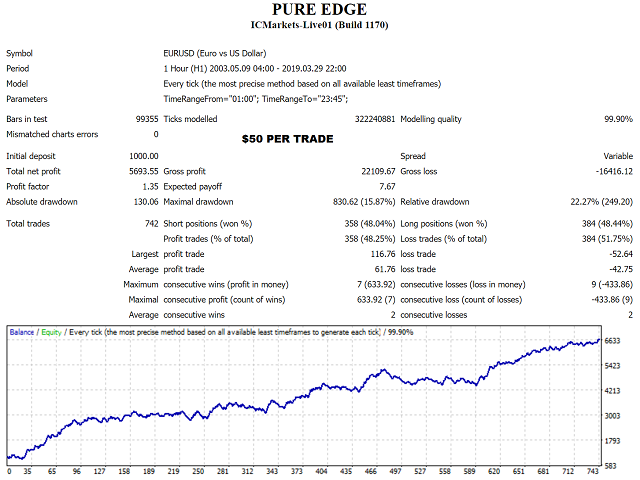 Trading Time: INTRADAY GMT+2. 1:00 to 23:45 exit trade at 23:45 (end of the range). 3. This EA was created in 2015 and the parameters are the same since then. It has been demo and live traded but due to the high number of my product offerings, no live or demo signal will be provided to support this EA although it will be included in a live portfolio signal so performance can be assessed via FXBlue using the default magic number. 8. 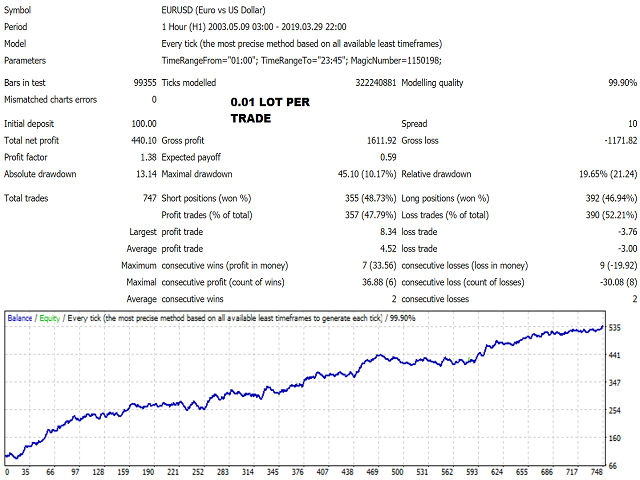 I advise you to use a quick MQL5.com vps and an ECN broker; put the algo' to work and leave it for a reasonable amount of time, say a month to a quarter, then review. If a trader is stuck to his terminal minute by minute watching and second guessing the strategy; in my opinion, this completely defeats the reason of automated trading in the first place. In short, give the strategy time to do it's job.